We understand how painful a lost crown or chipped tooth can be. 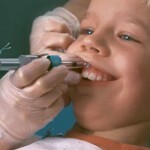 Every minute matters when it comes to dental emergencies. This is why, at Smile Place Dental, we strive to see all dental emergencies on the same day of your enquiry. Rest assured your appointment will not be rushed. We will ensure that you understand the situation and provide you with all the available options before commencing any treatment. We are open Monday – Thursday 9.00am to 7.00pm, and Friday – Saturday 9.00am to 5.00pm. Avoid picking up a tooth by the root. Always pick it up by the crown. Very carefully, rinse the tooth off. You want to clean off any dirt, but you don’t want to scrub away any of the tissue. If possible, place the tooth back into its socket and bite down lightly. If you can’t put the tooth back into the socket, place the tooth in a small container or in a glass of milk. Call Smile Place Dental immediately. Time is of the essence and every minute matters. Chipped tooth: This usually isn’t as serious as the other events of this list, but sometimes a chipped tooth can cause excruciating pain. If this is the case, call our clinic as soon as possible. Lost filling or crown: Crowns or fillings come loose for a variety of reasons, but most commonly, it happens while a person is eating. The results can be incredibly painful because the affected tooth is usually extremely sensitive. Facial pain and tissue injury: Puncture wounds, tears, and lacerations inside the mouth need to be treated right away. If you’re in pain call us at Smile Place Dental in Glen Iris, Smile Place Dental in Forest Hill or Smile Place Dental in Tecoma. ?We are ready to relieve your pain and put a smile back on your face.